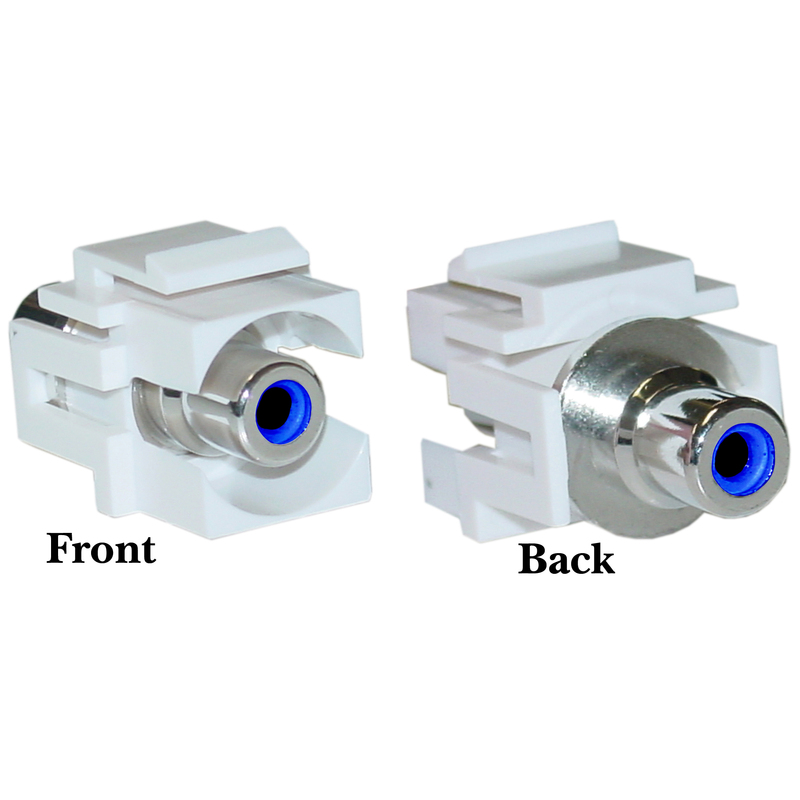 This White Keystone Jack with Blue RCA Coupler is for use with audio/video (component video), and home theater applications. It is designed for use with all Keystone style wall plates and standard RCA cables. Attach any RCA-connector equipment or cables with ease and simplicity. Blue is usually used for Component RGB video. Much better than the old -120 series.